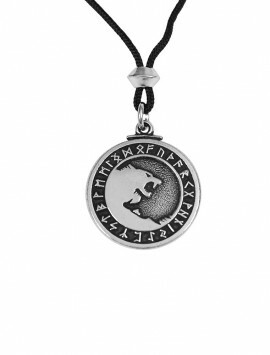 Victory in Battle is achieved when this Magical Runic design re-directs your enemy’s attack back to its source. 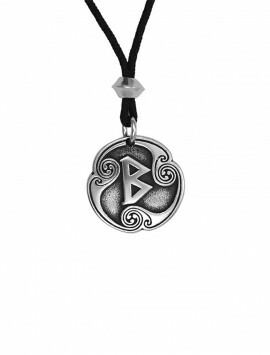 The “Helm of Awe” is an “Icelandic stave design,” a rune that is empowered eightfold around a central point. 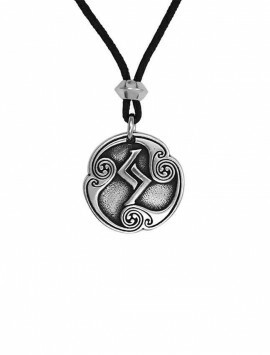 The Rune is the MANNAZ rune . 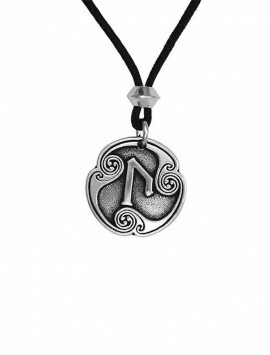 The rune of Expansion and Growth, of New Beginnings and Re-birth, a rune of Humanity. 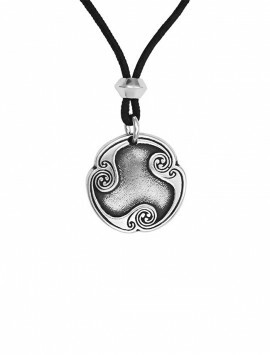 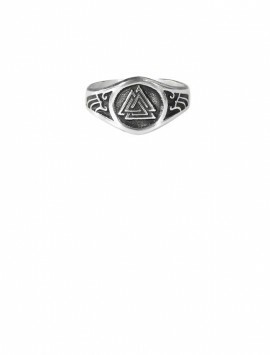 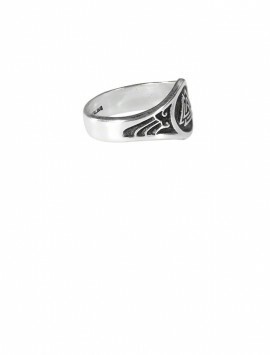 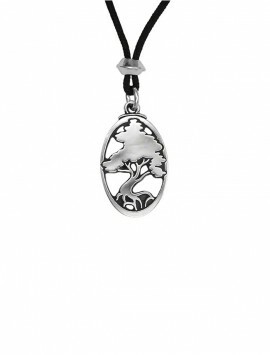 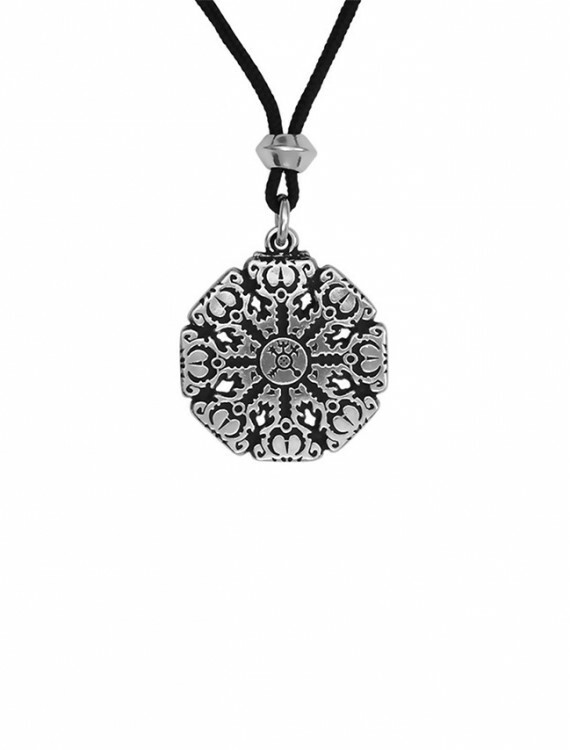 It represents both male and female energy that links with man at his most fundamental level. 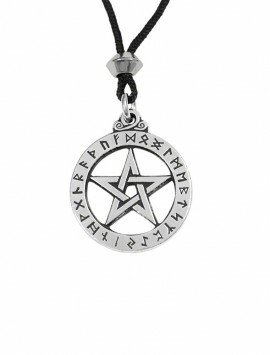 It is the rune of assistance and team work. 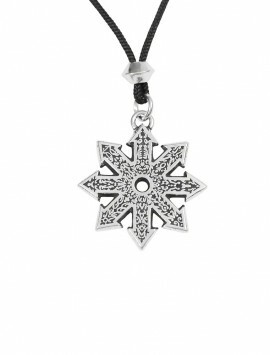 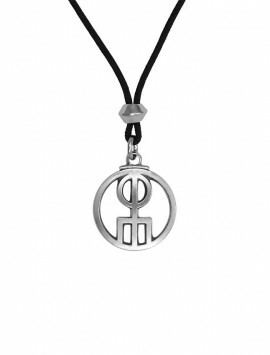 This Powerful, Magical symbol was worn in ancient Europe quite extensively, most often as an amulet suspended over the Third Eye, or engraved into a headpiece over the third eye, but also on saddles, weapons and pendants. 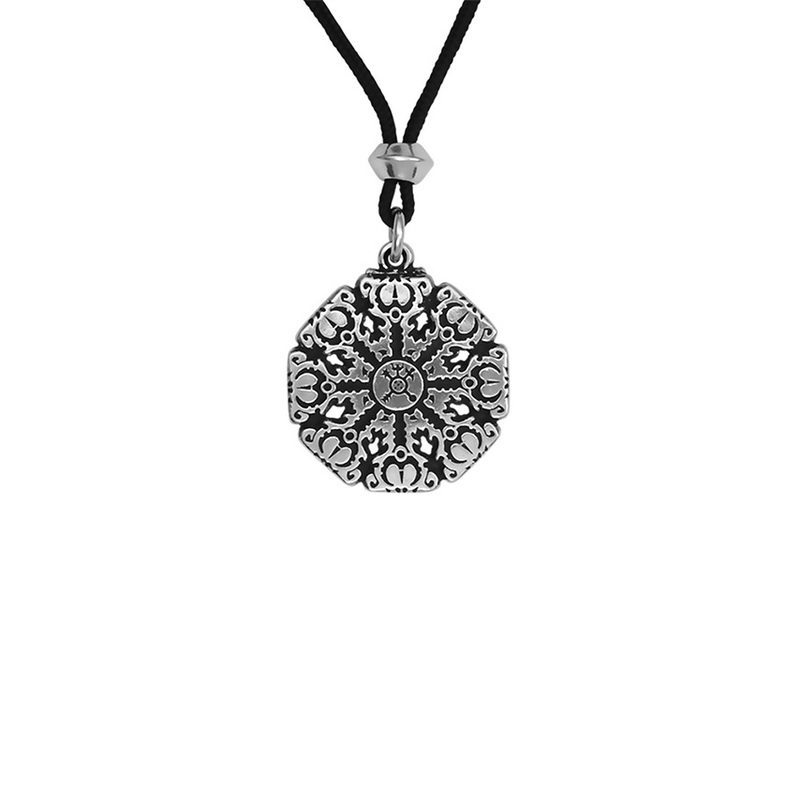 It was thought to dazzle assailants with its natural motion, giving the wearer protection and time to react. 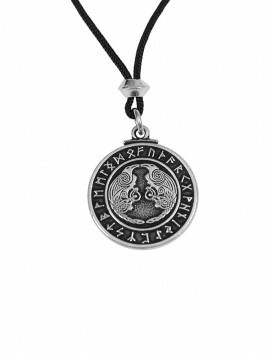 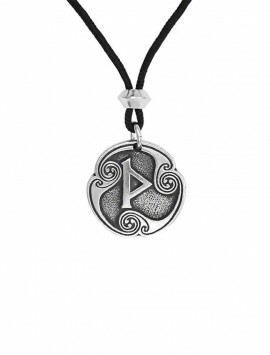 In the center circle of this pendant is also an Icelandic binding rune that is said to Repel any Harmful Energy back to its source bringing Victory in any kind of Battle. 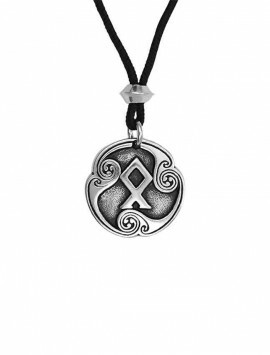 SKU: 412-093 Category: Norse & Asatru.